Bergeron, D. J., Pilloud, D. L., Chen, X., Clauss, W., Dutton, P. L. and Johnson, A. T., “Role of Hydration in Scanning Tunneling Microscope Image Contrast” Biophys. J. 78, Part 2 (2000). Claye, A. and Fischer, J. E., “Electrochemical Doping of Single Wall Carbon Nanotubes with Lithium,” Mol. Cryst. Liq. Cryst. 340, 743 (2000). Claye, A., Fischer, J. E., Huffman, C. B., Rinzler, A. G. and Smalley, R. E., “Solid State Electrochemistry of the Li/SWNT System,” J. Electrochem Soc. 147, 2845 (2000). Claye, A., Fischer, J. E. and Metrot, A., “Kinetics of Alkali Insertion in SWNT: an Electrochemical Impedance Spectroscopy Study,” Chem. Phys. Lett. 330, 61 (2000). Haggenmueller, R., Gommans, H. H., Rinzler, A. G., Fischer, J. E. and Winey, K. I., “Aligned Single-Wall Carbon Nanotubes in Composites by Melt Processing Methods,” Chem. Phys. Lett. 330, 219 (2000). 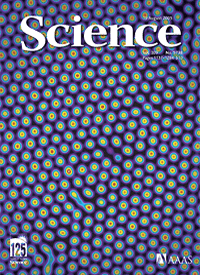 Hwang, J., Gommans, H. H., Ugawa, A., Tashiro, H., Haggenmueller, R., Winey, K. I., Fischer, J. E., Tanner, D. B. and Rinzler, A. G., “Polarized Reflectance and Absorption Spectroscopy of Aligned SWNT,” Phys. Rev. B 62, R13310 (2000). Lee, K. K., Vohs, J. M. and DiNardo, N.J. “HREELS Study of Ultra-thin Polyaniline Films Grown on Cu(110) by Vapor Deposition of Emeraldine and Aniline Tetramers,” Synthetic Metals 113, 231 (2000). Levine, A. and Lubensky, T.C., “One- and Two-Particle Microrheology,” Phys. Rev. Lett. 85, 1774-77 (2000). Lin, K.-H., Crocker, J. C., Prasad, V., Schofield, A., Weitz, D. A., Lubensky, T. C. and Yodh, A.G., “Entropically Driven Crystallization on Patterned Surfaces,” Phys. Rev. Lett. 85, 1770-73 (2000). 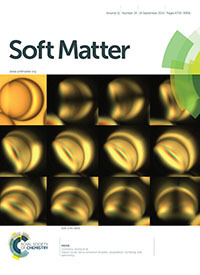 Oslanec, R., Composto, R. J. and Vlcek, P., “Block Copolymer Adsorption at the Polymer Melt / Substrate Interface: The Effect of Matrix Competition,” Macromolecules 33, 2200-2205 (2000). Oslanec, R., Costa, A. C., Composto, R. J. and Vlcek, P., “The Effect of Block Copolymer Adsorption on Thin Film Dewetting Kinetics,” Macromolecules 33, 5505-12, (2000). Akbas, M. A. and Davies, P. K., “Chemical Order in PMN-Related Relaxors: Structure, Stability, Modification, and Impact on Properties,” J. Phys. Chem. Solids 61, 159-166 (2000). Akbas, M. A., and Davies, P.K., “Thermally Induced Coarsening of the Chemically Ordered Domains in Pb(Mg1/3Nb2/3)O3 (PMN)-Based Relaxor Ferroelectrics,” J. Amer. Ceramic Soc., 83(1), 119-23 (2000). Bergeron, D. J., Pilloud, D. J., Chen, X. X., Dutton, P. L. and Johnson, A. T., “The Role of Hydration in Peptide STM Image Contrast,” Biophys. J. 78, 13 (2000). Brunner, A., Moyer, E. S., Su, K. and Sneddon, L. G., “Synthesis and Ceramic Conversion Reactions of Pinacolborane- and Diethylborazine-Modified Polyvinylsiloxanes. The Development of a Processable Single-Source Polymeric Precursor to Boron-Modified Silicon Carbide” Chem. Mater. 12, 2770-2780 (2000). 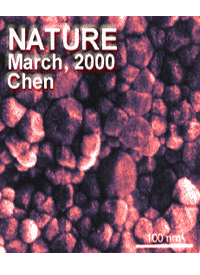 Chen, I-W. and Wang, X.-H., “Sintering Dense Nanocrystalline Ceramics without Final- Stage Grain Growth,” Nature 409, 168-71 (2000). Chen, I-W., “Structural Origin of Relaxor Ferroelectrics-Revisited,” J. Phys. Chem. Solids 61  197-208 (2000). Chen, I-W., “Grain Boundary Kinetics in Oxide Ceramics with the Cubic Fluorite Çrystal Structure and its Derivatives,” Interface Science 8, 147-56 (2000). Clauss, W., Freitag, M., Bergeron, D. J., and Johnson, A.T., “Material Contrast by Combined Scanning Tunneling and Force Microscopy Imaging of Single Walled Carbon Nanotubes,” Carbon 38, 1735 – 1739 (2000). Claye, A. S., Nemes, N. M., Janossy, A. and Fischer, J. E., “Structure and Electronic Properties of Potassium-Doped Single Wall Carbon Nanotubes: In-Situ Electrochemical Studies,” Phys. Rev. B 62, R4845 (2000). 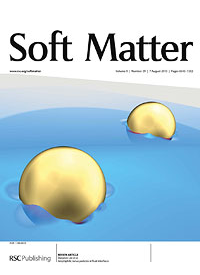 Crocker, J. C., Valentine, M. T., Weeks, E. R. , Gisler, T. Kaplan, P. D., Yodh, A. G. and Weitz, D. A., “Two-Point Microrheology of Inhomogeneous Soft Materials,” Phys. Rev. Lett. 85, 888-891 (2000). Davies, P. K., Farber, L., Valant, M., Akbas, M.A., “Cation Ordering and Dielectric Properties of PMN-PSN Relaxors,” AIP Conf. Proc. (First Principles Calculations for Ferroelectrics) 535, 38-46 (2000). 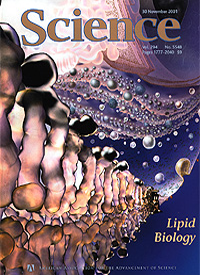 Discher, B. M., Hammer, D. A., Bates, F. S. and Discher, D. E., “Polymer Vesicles in Various Media,” Current Opinion in Colloid & Interface Science 5, 125-131 (2000). Dmowski, W., Akbas, M., Egami, T. and Davies, P. K., “Structure Refinement of Large Domain Relaxors in the Pb(Mg1/3Ta 2/3)O3-PbZrO3 System,” J. Phys. Chem. Solids 61, 229-237 (2000). Dvorak, J. and Dai, H-L., “Optical Reflectivity Changes Induced by Adsorption on Metal Surfaces: The Origin and Applications to Monitoring Adsorption Kinetics,” J. Chem. Phys. 112, 923-34(2000). Edwards, A.M., Zhang, K., Nordgren, C.E. and Blasie, J.K., “Heme Structure & Orientation in Single Monolayers of Cytochrome c on Polar & Nonpolar Soft Surfaces,” Biophys. J. 79, 3105-3117 (2000). 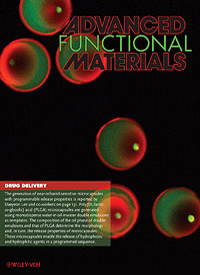 Effah-Kaufmann, E., Ducheyne, P., Radin, S., Bonnell, D. A., and Composto, R., “Initial Events at the Bioactive Glass Surface in Contact with Protein Containing Solutions,” J. Biomedical Materials Research 52 825-830 (2000). Ezbiansky, K. A., Arkles, B., Composto, R. J., and Berry, D. H., “b-Acetoxyethyl Silsesquioxanes: Chloride-Free Precursors For SiO2 Films Via Staged Hydrolysis,” Mater. Res. Soc. Symp. Proc. 606, 251-256 (2000). Ferrizz, R.M., Egami, T. and Vohs, J.M.,”Temperature Programmed Desorption Study of the Reaction of C2H4 and CO on Rh Supported on a-Al2O3(0001), YSZ(100), and CeO2 Thin Films,” Surface Science 465, 127 (2000). 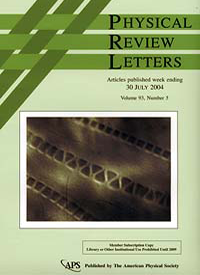 Fischer, J. E., “Carbon Nanotubes: a Nanostructured Material for Energy Storage,” Chemical Innovation 30, 21-27 (2000). Mol. Cryst. Liq. Cryst. 340, 737 (2000). Gibney, B. R., Isogai, Y., Reddy, K. S., Rabanal, F., Grosset, A. M., Moser, C. C., Dutton, P. L. “Self-Assembly of Heme A and Heme B in a Designed Four-a-helix Bundle: Implications for a Cytochrome c Oxidase Maquette,” Biochemistry 39, 11041 – 11049, (2000). Gibney, B.R. and Dutton, P. L., “De novo Design and Synthesis of Heme Proteins,” In Advances in Inorganic Chemistry Vol 51, Academic Press, (Mauk, A.G. and Sykes, A.G. Eds. ), England. 409 – 455, (2000). Grinberg, I., Ramer, N. J. and Rappe, A. M., “Transferable Relativistic Dirac-Slater Pseudopotentials,” Phys. Rev. B 62, 2311–2314 (2000). Heiney, P. A., Butera, R. J., Londono, J. D., Davidson, R. V. and Mazur, S. “Network Growth in the Flocculation of Concentrated Colloidal Silica Dispersions,” J. Phys. Chem. B 104, 8807-8821 (2000). Hill, R. B., Bracken, C., DeGrado, W. F., Palmer, A. G., III., “Molecular Motions and Protein Folding: Characterization of the Backbone Dynamics and Folding Equilibrium of a2D Using 13C NMR Spin Relaxation,” J.A.C.S. 122, 11610-19 (2000). Hill, R. B., Hong, J.-K., DeGrado, W. F., “Hydrogen-Bonded Cluster Can Specify the Native State of a Protein,” J.A.C.S. 122, 746-747 (2000). Hill, R. B., DeGrado, W. F., “A polar, solvent-exposed residue can be essential for native protein structure” Structure 8, 471-479 (2000). Hone, J., Batlogg, B., Benes, Z., Johnson, A.T. and Fischer, J.E., “Quantized Phonon Spectrum of Single-Wall Carbon Nanotubes,” Science 289, 1730 – 1733 (2000). (Covered in Business Week and the Financial Times. Hone, J.C., Llaguno, M.C., Nemes, N.M., Johnson, A.T., Fischer, J.E., Walters, D.E., Casavant, M.J., Schmidt, J. and Smalley, R.E., “Electrical and Thermal Properties of Magnetically Aligned Single-Wall Carbon Nanotube Films,” Appl. Phys. Lett. 77, 666 – 668 (2000). SO2/Ag(111),” Surf. Sci. 451, 12-21 (2000). Johnson, A.T., Bergeron, D. J., Grason, G., Chen, X., Pilloud, D.L., Smith, W.F. and Dutton, P. L., “Lateral Conductivity of Synthetic Peptide Monolayers: The Role of Water in Charge Transport,” Biophys. J.78, 289 (2000). Johnson, A.T., Lefebvre, J., Radosavljevic, M., Llaguno, M. and Lynch, J.F., “Single Carbon Nanotube Electronic Devices,” to appear in proceedings of the XIV International Winger School, Kirchberg, Tyrol, 2000, ed. H. Kuzmany, J. Fink, M. Mehring, and S. Roth (AIP Conference Proceedings, Woodbury, New York). Kadlecek, D., Carroll, P. J. and Sneddon, L. G. “Transition Metal Promoted Reactions of Boron Hydrides. 16. Platinum and Palladium Catalyzed Syntheses of 7-R-6,8-C2B7H12 and 7-RCH=CH-6,8-C2B7H12 Carboranes,” J.A.C.S. 122, 10868-10877 (2000). Kalinin, S. and Bonnell, D. A., “Surface Potential At Surface-Interface Junctions in SrTiO3 Bicrystals,” Phys. Rev. B 62, 10419-10430 (2000). Kalinin, S. V. and Bonnell, D. A., “Effect of Phase Transition on the Surface Potential of the BaTiO3 (100) Surface by Variable Temperature Scanning Surface Potential Microscopy,” J. Applied Physics 87, 3950-56 (2000). Kamien, R. D., “Poisson Bracket Formulation of Nematic Polymer Dynamics,” Phys. Rev. E 61, 2888-2894 (2000). Kim, J., Rosenflanz, A. and Chen, I-W., “Microstructure Control of In-Situ-Toughened a-SiAlON Ceramics,” J. Am. Ceram. Soc. 83  1819-21 (2000). Lee, R. S., Kim, H. J., Fischer, J. E., Lefebvre, J., Radosavljevic, M.,Hone, J., and Johnson, A. T., “Transport Properties of a Potassium-doped Single Wall Carbon Nanotube Rope,” Phys. Rev. B 61, 4526 (2000). Lefebvre, J., Lynch, J.F., Llaguno, M., Radosavljevic, M. and Johnson, A.T. “Single Wall Carbon Nanotube Circuits Assembled with an Atomic Force Microscope,” Appl. Phys. Lett. 75, 3014-3016 (1999). 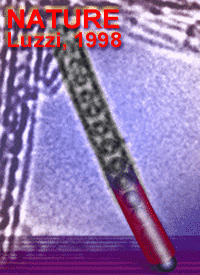 This work was featured in Nature Science Update, November 12, 1999 and November 26, 1999: http://helix.nature.com/nsu/991118/991118-1.html and http://helix.nature.com/nsu/991202/991202-1.html. 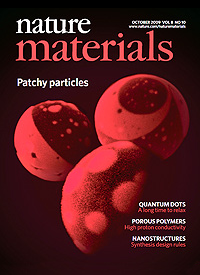 Lin, K-H., Crocker, J. C. Prasad, V., Schofield, A., Weitz, D. A., Lubensky, T. C. and Yodh, A. G., “Entropically Driven Colloidal Crystallization on Patterned Surfaces,” Phys. Rev. Lett. 85, 1770-1773 (2000). Lin, X., Zhang, H. K. and Rappe, A. M., “Optimization of Quantum Monte Carlo Wave Functions Using Analytical Energy Derivatives,” J.Chem. Phys. 112, 2650–2654 (2000). Lombardi, A., Summa, C. M., Geremia, S., Randaccio, L., Pavone, V., DeGrado, W. F., “Retrostrutural Analysis of Metalloproteins: Application to the Design of a Minimal Model for Diiron Proteins,” Proc. Natl. Acad. Sci. 97, 6298-6305 (2000). Losert, W., Bocquet, L., Lubensky, T. C. and Gollub, J. P., “Particle Dynamics in Sheared Granular Matter,” Phys. Rev. Lett. 85, 1428-1431 (2000). 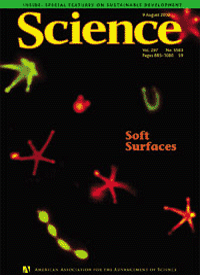 Lubensky, T. C., “New Banana Phases,” perspectives article, Science 288, 2146-47 (2000). Mannes, E. S., Getahun, Z., Wright, W. W., DeGrado, W. F., Vanderkooi, J. M., “Infrared Spectra of Amide Groups in a-Helical Proteins: Evidence for Hydrogen Bonding Between Helices and Water,” J.A.C.S. 122, 9883-90 (2000). Pender, M. J. and Sneddon, L. G. “An Efficient Template Synthesis of Aligned Boron Carbide Nanofibers Using A Single-Source Molecular Precursor” Chem. Mater. 12, 280-283 (2000). Pender, M. J. and Sneddon, L. G., “Polyalkenyldecaboranes: New Polymeric Precursors to Boron Carbide Ceramics” ACS Polymer Preprints 41, 551-552 (2000). Pilloud, D.L., Chen, X., Dutton, P.L., and Moser, C.C., “Electrochemistry of Self-Assembled Monolayers of Iron Protoporphyrin IX Attached to Modified Gold Electrodes Through Thioether Linkage,” J. Phys. Chem. B. 13, 2878-2877, (2000). Pykhtin, M. V., Lewis, S. P. and Rappe, A. M., “Adsorbate Aggregation and Relaxation of Low-Frequency Vibrations,” J. Chem. Phys. 113, 10265-10271 (2000). 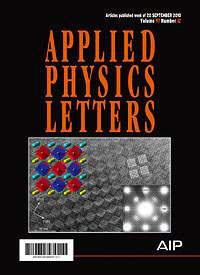 of Sisordered Perovskites,” J. Phys. Chem. Solids 61, 315-320 (2000). Ramer, N. J. and Rappe, A. M., “Virtual-crystal approximation that works: Locating a Compositional Phase Boundary in Pb(Zr 1-xTixO3),” Phys. Rev. B Rapid Comm. 62, 743–746 (2000). Saitta, A. M. and Klein, M. L., “First-Principles Study of Bond Rupture of Entangled Polymer Chains,” J. Phys. Chem. B 104, 2197-2200 (2000). Shediac, R., Gray, M. H. B., Uyeda, T., Johnson, R. C., Hupp, J. T., Angiolillo, P. J. and Therien, M. J., “Singlet and Triplet Excited States of Emissive, Conjugated Bis(porphyrin) Compounds Probed by Optical and EPR Spectroscopic Methods,” J.A.C.S. 122, 7017-7033 (2000). Sjodin, T., Troxler, T. and Dai, H.-L., “In Situ Observation of a Phase Transition in a Thin Molecular Film by Optical Second Harmonic Generation,” Langmuir 16, 2832-8(2000). Sjodin, T., Li, C-M, Petek, H. and Dai, H.-L., “Ultrafast Transient Grating Scattering Studies of Carrier Dynamics at a Silicon Surface,” Chem. Phys. (special issue on Electron Dynamics) 251, 205-13 (2000). Sklovsky, D. E., Nalimova, V. A. and Fischer, J. E., “Potassium-doped Single Wall Carbon Nanotubes: Resistance Under Pressure,” Mol. Cryst. Liq. Cryst. 340, 763 (2000). Nanotube Films,” Appl. Phys. Lett. 77, 663 (2000). Smith, J. and Bonnell, D. A., “Determination of the TiO2(110) (2×3) Surface Structure via a Parametric Approach to STM Image Analysis,” Phys. Rev. B. 62, 4720-5563 (2000). Stetzer, M. R., Heiney, P. A., Stephens, P. W., Dinnebier, R. E., Zhu, Q., McGhie, A. R., Strongin, R. M., Brandt, B. M. and Smith, A. 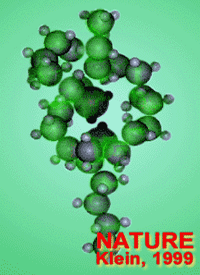 B. III, “Structure and phase transitions of the 6,6-cyclopropane isomer of C61H2,” Phys. Rev. B 62, 9305-9316 (2000). Tronin, A., Strzalka, J., Chen, X., Dutton, P.L. and Blasie, J.K., “Determination of the Porphyrin Orientation Distribution in Langmuir Monolayers by Polarized Epifluorescenc,” Langmuir 16, 9878-9886 (2000). Walter, E. J., Lewis, S. P. and Rappe, A. M.,”Investigation of Chemisorbed Molecular States for Oxygen on Rhodium (111),” J. Chem. Phys.113, 4388–4391 (2000). Wang, L-L., Tien, T-Y. and Chen, I-W., “Reply to “Comment on ‘Morphology of Silicon Nitride Grown from a Liquid Phase’,” J. Am. Ceram. Soc. 83  677-78 (2000). Wang, H., Troxler, T., Yeh, A-G. and Dai, H-L., “In Situ, Nonlinear Optical Probe of Surfactant Adsorption on the Surface of Micro-Particles in Colloids,” Langmuir 16, 2475-81(2000). Winn, E.J. and Chen, I-W., “Crack Deflection in Composites with Very Thin Interlayers,” J. Am. Ceram. Soc. 83  3222-24 (2000). Wong, G. S., Kragten, D. D. and Vohs, J. M. “Temperature Programmed Desorption Study of the Oxidation of Methanol to Formaldehyde on TiO2(110)-Supported Vanadia Monolayers,” Surface Science 452, L293 (2000). Characterization, and Solid State Properties,” in The Physics of Fullerene-Based and Fullerene-Related Materials, W. Andreoni, ed. (Kluwer, Amsterdam 2000) 23-66. Yildirim, T., Zhou, O. Z. and Fischer, J. E., “Intercalation Compounds of Fullerenes II: Structure and Superconductivity of Alkali Metal Fullerides,” in The Physics of Fullerene-Based and Fullerene-Related Materials, W. Andreoni, ed. (Kluwer, Amsterdam 2000) 67-134. Yildirim, T., Zhou, O. 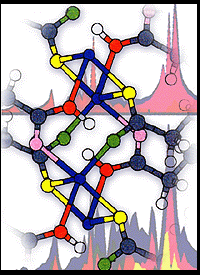 Z. and Fischer, J. E., “Intercalation Compounds of Fullerenes III: Other Fullerides and Intercalated Nanotubes,” in The Physics of Fullerene-Based and Fullerene-Related Materials, W. Andreoni, ed. (Kluwer, Amsterdam 2000) 249-290. Penn Docket #N2485 – “Design, Preparation, and Properties of Antibacterial B-Peptides,” filed 12/11/00. Effah Kaufmann, E. A. B., Ducheyne, P., Radin, S., Bonnell, D. A. and Composto, R., “Initial Events at the Bioactive Glass Surface in Contact with Protein-Containing Solutions,” J. Biomed. Mater. Res. 52, 825-830, 3000, (2000). Pellegrini, N. N. and Winey, K. I., “Asymmetric Miscibility in Random Copolymer / Homopolymer Blends: Monomeric Size and Polarit,” Macromolecules 33, 73-79, 2000. Pellegrini, N. N., Composto, R. J. and Winey, K. I., “Investigating Polymer Blend Miscibility with Forward Recoil Spectrometry,” J. of Polymer Science: Physics, 38, 1547-1552, 2000. Qiao, L. and Winey, K. I., “Evolution of Kink Bands and Tilt Boundaries at Large Shear Strains,” Macromolecules 33, 851-856 (2000). 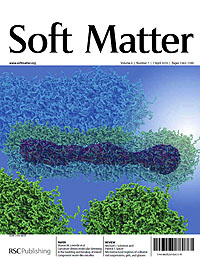 Rols, R., Benes, Z., Anglaret, E., Sauvajol, J. L., Papanek, P., Fischer, J. E., Coddens, G., Schober, H. and Dianoux, A. J., “Phonon Density of States of Single Wall Carbon Nanotubes,” Phys. Rev. Lett. 85, 5222 (2000). Brown, C. M., Yildirim, T., Neumann, D. A., Heben, M. J., Gennett, T., Dillon, A. C., Alleman, J. L. and Fischer, J. E., “Quantum Rotation of Hydrogen in Single-Wall Carbon Nanotubes,” Chem. Phys. Lett. 329, 311 (2000). M. Valant and P. K. Davies, “Crystal Chemistry and Dielectric Properties of Chemically Substituted (Bi1.5Zn1.0Nb1.5)O7 and Bi2(Zn2/3Nb4/3)O7 Pyrochlores,” J. of the Amer. Ceramic Soc., 83 (1), 147-53 (2000).